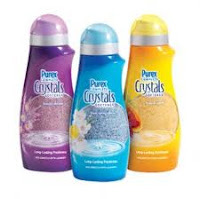 You can get a good deal on Purex Crystals at Walgreen's starting 4/22. I was given a bottle of it to review a while back ago and loved it, but is one of those items I just won't pay full price for. I believe they cost almost $6 at Walmart, so this is a pretty decent deal!